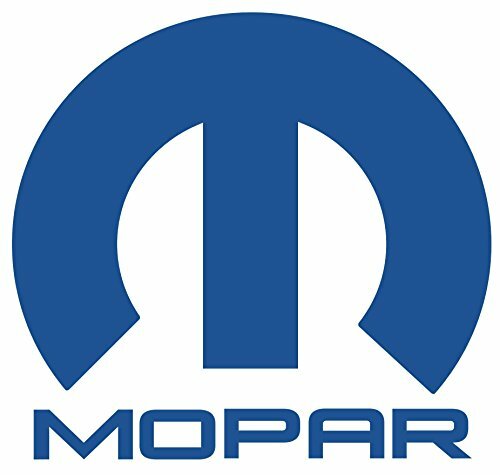 Mopar Front Windshield Washer Nozzle 68260443 Designed for: Jeep Grand Cherokee 4x2, 3.0L V6 Turbo Diesel, 8-Spd Auto 8HP70 Trans Limited 2014, 2015, 2016, 2017 Jeep Grand Cherokee 4x2, 3.0L V6 Turbo Diesel, 8-Spd Auto 8HP70 Trans OVERLAND 2014, 2015, 2016 Jeep Grand Cherokee 4x2, 3.0L V6 Turbo Diesel, 8-Spd Auto 8HP70 Trans SUMMIT 2014, 2015, 2016 Jeep Grand Cherokee 4x2, 3.0L V6 Turbo Diesel, 8-Spd Auto 8HP75 Trans -Germany Limited 2017 Jeep Grand Cherokee 4x2, 3.0L V6 Turbo Diesel, 8-Spd Auto 8HP75 Trans -Germany OVERLAND 2017 Jeep Grand Cherokee 4x2, 3.0L V6 Turbo Diesel, 8-Spd Auto 8HP75 Trans -Germany SUMMIT 2017 Jeep Grand Cherokee 4x2, 3.6L Mid V6, 5-Speed Auto W5A580 LAREDO 2011 Jeep Grand Cherokee 4x2, 3.6L Mid V6, 5-Speed Auto W5A580 Limited 2011 Jeep Grand Cherokee 4x2, 3.6L Mid V6, 5-Speed Auto W5A580 OVERLAND 2011 Jeep Grand Cherokee 4x2, 3.6L V6 24V VVT Upg I w/ESS, 8-Spd Auto 845RE Trans LAREDO 2016, 2017 Jeep Grand Cherokee 4x2, 3.6L V6 24V VVT Upg I w/ESS, 8-Spd Auto 845RE Trans Limited 2016 Jeep Grand Cherokee 4x2, 3.6L V6 24V VVT Upg I w/ESS, 8-Spd Auto 845RE Trans OVERLAND 2016 Jeep Grand Cherokee 4x2, 3.6L V6 24V VVT Upg I w/ESS, 8-Spd Auto 845RE Trans SUMMIT 2016 Jeep Grand Cherokee 4x2, 3.6L V6 24V VVT Upg I w/ESS, 8-Spd Auto 850RE Trans LAREDO 2017 Jeep Grand Cherokee 4x2, 3.6L V6 24V VVT Upg I w/ESS, 8-Spd Auto 850RE Trans Limited 2017 Jeep Grand Cherokee 4x2, 3.6L V6 24V VVT Upg I w/ESS, 8-Spd Auto 850RE Trans OVERLAND 2017 Jeep Grand Cherokee 4x2, 3.6L V6 24V VVT Upg I w/ESS, 8-Spd Auto 850RE Trans SUMMIT 2017 Jeep Grand Cherokee 4x2, 3.6L V6 24V VVT, 5-Speed Auto W5A580 LAREDO 2013 Jeep Grand Cherokee 4x2, 3.6L V6 24V VVT, 5-Speed Auto W5A580 Limited 2013 Jeep Grand Cherokee 4x2, 3 WARNING: This product can expose you to chemicals which is [are] known to the State of California to cause cancer and birth defects or other reproductive harm. For more information go to www.P65Warnings.ca.gov. View More In Windshield Wiper Nozzles.